Happy Indigenous People’s Day. The Taino people are my matrilineal ancestors and also the first people “encountered” by that man who’s name I will not invoke here. Yesterday I spent almost an hour sitting in a parking lot with my son answering his questions about that man and his starring roll in the decline of Taino language, cosmology, and sustainable living practices. “I wish I knew that before I drew a picture of him on a boat. I would have crumpled it up and threw it in the trash” he says. It is a tall order, to help our children understand how to move through a world where people still celebrate atrocity. I try to be a voice of validation for his gentle, inquisitive, loving nature, that he may grow stronger and stronger in his own compassionate, rational, practical lens on injustice, which is quite often a simple “That doesn’t make any sense!” This is what collective awakening looks like to me, where suddenly one day we realize that our behavior doesn’t make any sense, and there is no longer anything left we can come up with to rationalize things like having a national holiday and teaching children cute rhyming songs in school about a mass murderer. No thank you. Today I celebrate the way that with or without any understanding of what I was doing, I came to hold moon lodges that I would later learn mirror Taino moon ritual in every functional aspect. Today I celebrate how my own path would lead me to to worship the regenerative principle in nature, just as the Taino built their villages around their deep understanding of compost and of the way death facilitates life. I will celebrate the fact that we carry all the wisdom of our ancestors in our DNA and that we can always dig deeply into our own inner soil and find all that “they” tried to burn or bury. Today I celebrate that thing within us that can be killed a thousand times and buried a thousand times but will always and forever until the end of time rise up again and again until we learn to honor her with every thought, word, and deed, until our entire culture and way of life becomes a prayer in her name. Want to celebrate the tenacity of the human spirit with action? 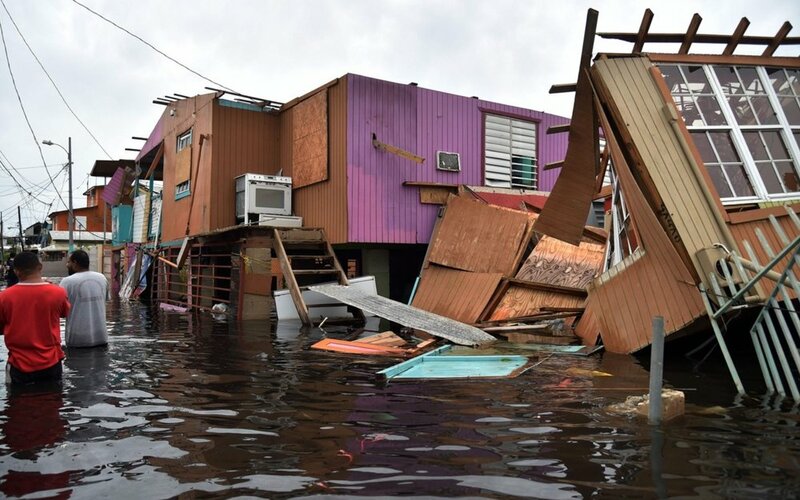 Read on to view a list of organizations who have taken on the immense task of getting supplies and donations to their much needed destinations on the island of Boriken (Puerto Rico, Home of the Taino mentioned above) who faced first conquistadors, then economic hardship created by our country’s government, and now what has been called apocalyptic levels of destruction from Hurricane Maria. This list of humanitarian organizations was llovingly compiled by our sister Taylor, who works in crowd funding for Crisis Management. From their campaign descriptoin: Our commitment and struggle for the well-being of the most vulnerable communities in Puerto Rico. Taking into consideration the increase in the precarity of essential services on the island, we are raising funds to establish a grassroots-organized space that would work as an oasis, meeting and gathering point and distribution center of resources to alleviate the most urgent necessities of women, LGBTQ people, non-binary folks and other people and communities in resistance.